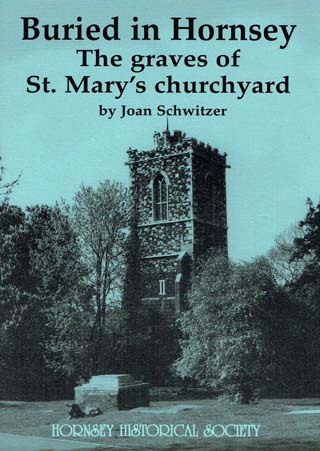 This illustrated booklet gives a brief history of St. Mary’s Church and a conducted tour around the churchyard describing the tombs, gravestones and memorials of some of Hornsey’s famous former residents. The late Dr Joan Schwitzer was a founder member, Chairman and President of Hornsey Historical Society. She was an energetic and far-sighted leader who laid secure foundations for HHS. She was the author of numerous articles and books published by HHS and elsewhere. Joan lived in Highgate for over fifty years.